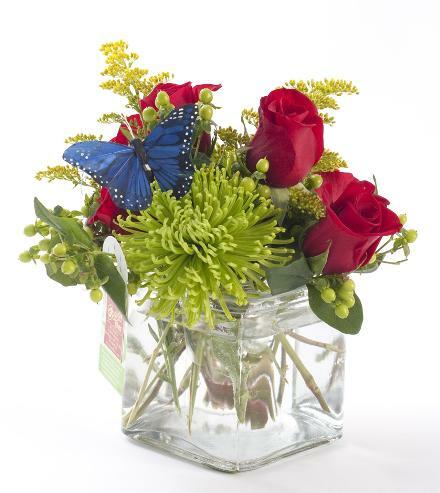 Red roses, greens spider mums and green berries nestled in a glass cube vase. Usually includes a butterfly if available. You can say a lot with a small sized gift! . Birthday Plants - Red Roses and Green by BF.